This is the paperback edition. If you would like to download this as an eBook, click here. NEW!!! Finally: low-priced guitar book for complete beginners that is so painless you’ll be playing in no time. 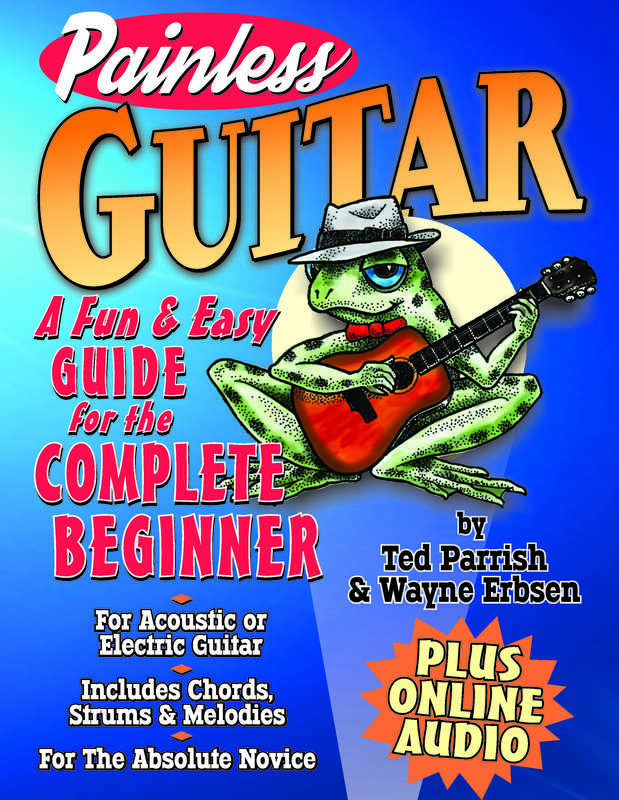 This book will teach you everything you need to know to get started playing guitar, and includes the tab, chords, lyrics, and online audio for 31 folk favorites. NEW!!! Finally: a low-priced guitar book for complete beginners that is so painless you’ll be playing in no time. This book will teach you everything you need to know to get started playing guitar, and includes the tab, chords, lyrics, and online audio for 31 folk favorites. Be the first to review “Painless Guitar – A Fun & Easy Guide for the Complete Beginner” Click here to cancel reply.